YOUR HELP IS NEEDED. Do you have any Clay County newspaper extractions to contribute? 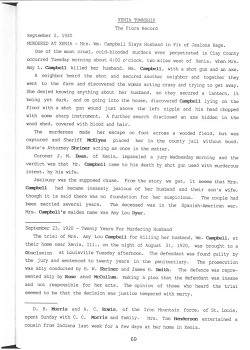 William CAMPBELL was born 03 Jul 1878 and was murdered 01 Sep 1920 in Songer Township, Clay Co., IL by his wife Amy Louiza DYER. 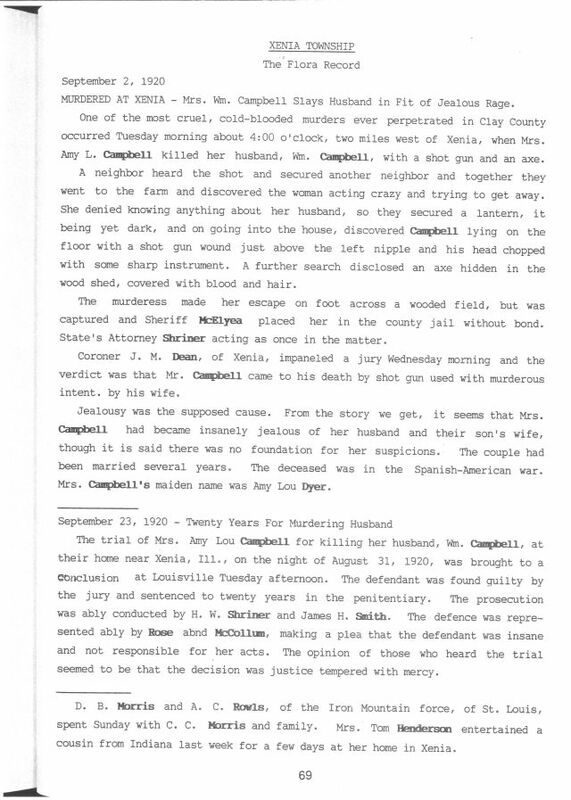 The articles give details of the horrendous murder and the conviction of his wife. Amy had apparently become jealous of William CAMPBELL and the wife of her son William George Franklin KLAR (from a previous marriage) whose name was Sarah Evelyn KERBY, though the source of the jealousy was unfounded. From the article we also learn that William CAMPBELL served in the Spanish-American War.